Brain tumour. 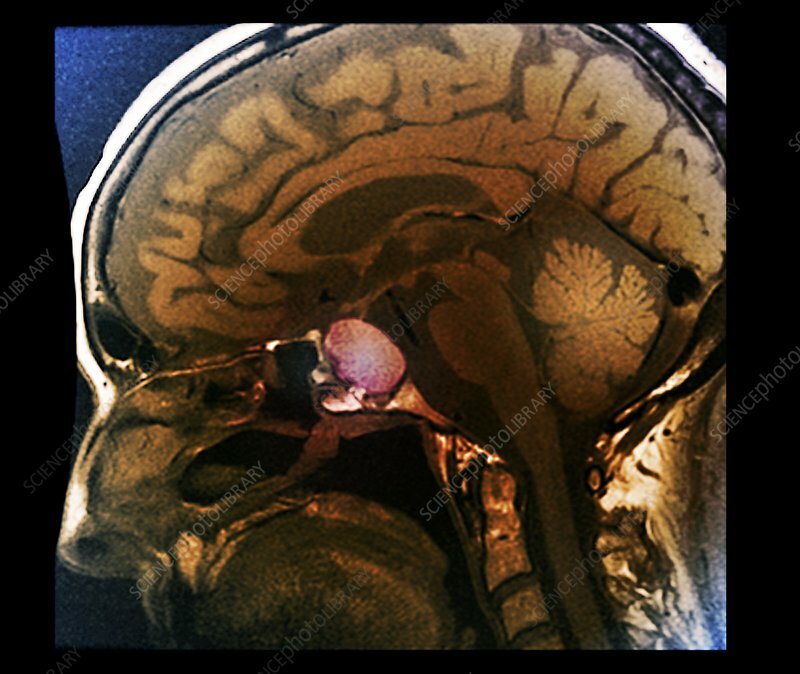 Coloured magnetic resonance imaging (MRI) scan of a section through a 69-year-old patient's head with a craniopharyngioma tumour (centre left) at the level of the optic chiasm. The front of the head is at left. Craniopharyngiomas are a type of slow-growing benign (non-cancerous) brain tumour derived from pituitary gland embryonic tissue. They occur most commonly in children but also in men and women in their 50s and 60s.